Spring it still is, even though today marks the start of our “summer” farmer’s market, the McMinnville Farmer’s Market. Farmer’s growing in hoop houses or on black plastic can nudge the season ahead a bit, but with the long lasting springs we have been having last year and this, even our friends who use these growing tools more extensively than we do will most likely still be offering “spring” produce as we start the market season today. Baby beets, large spring onions, turnips…these are crops a week or two away for us, but have been ready for the last month from other farm’s at our Saturday market. 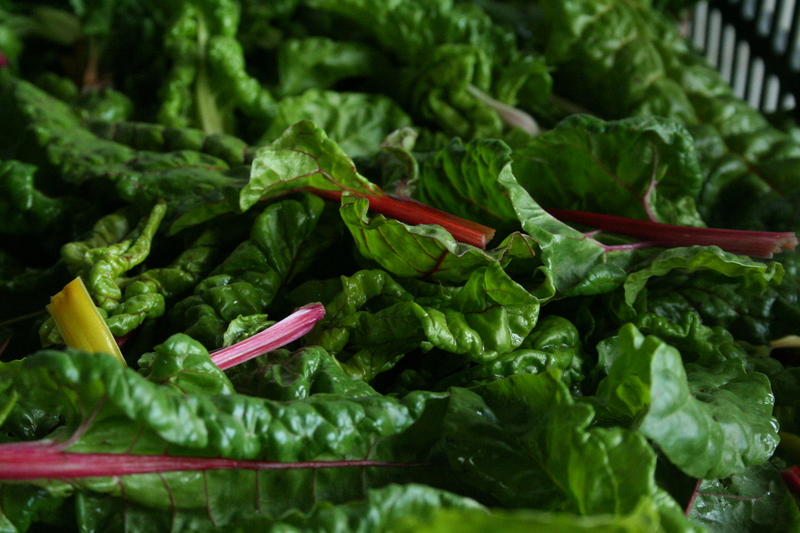 Otherwise, the main crops that spring offers in abundance are greens, greens, and more greens! Some, of the lettuce variety. In fact, there is always so much lettuce at the market’s at this time of year that we no longer worry about growing too much head lettuce to bring. Instead we focus on our salad mix, many a local’s favorite and one of our signature offerings. Right now, we especially love the mix which includes not only baby lettuces in a wide variety, but young greens as well as small brassica florets. It is so beautiful and delicious! All of our other greens fall more into the cooking greens category. This week we are bringing a braising mix full of young greens, dandelion greens, nettles, baby kale mix, full size kale, and rainbow chard. The color of spring for us is definitely green! But saute a little green garlic, another spring treat that you really are only going to find at your local farmer’s market, perfectly light for spring cooking with its pleasantly mild garlic flavor, and add this to your cooking greens and you have everything you need–delicious! But what is really exciting (even though it is equally depressing in some ways) is that we will also have spring rapini at this first market, and maybe for a while longer! Because it has been so cool this spring, our brassica plants that we overwintered in the fields began to go to seed later than usual. 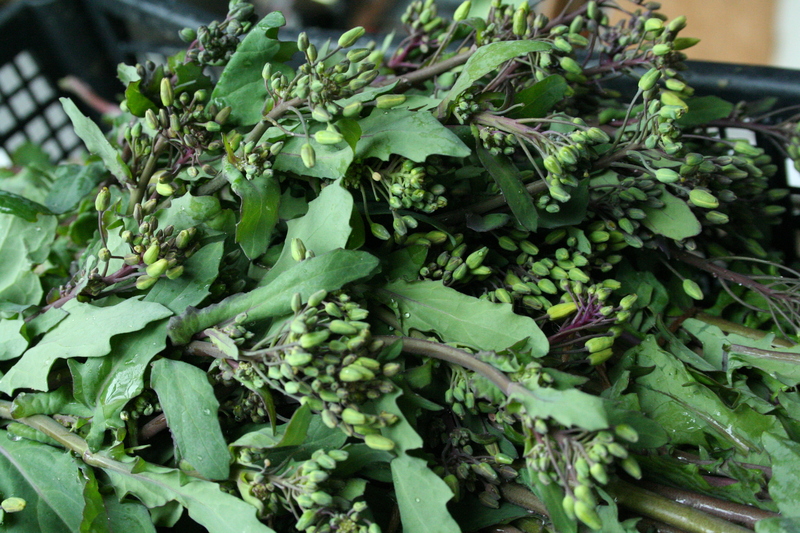 When these relatives of the ever popular broccoli go to seed, they produce equally edible florets that are yet another spring crop usually only offered by your local market farmer. Similar to broccoli raab in appearance, but with each kind offering a unique flavor depending on which plant it comes from (turnip, kale, cabbage, etc), these are one of our spring favorites! We wouldn’t normally have them at this time of year because their push to set seed would be stronger than our ability to harvest them if the weather were just a bit warmer. But it isn’t really warm nor very summery yet, so relish these spring flavors we will! They are just as yummy as the produce to come, and for those of you who might otherwise miss out on being able to shop from a farmer’s market when our Thursday market isn’t happening, what a treat for all of you!